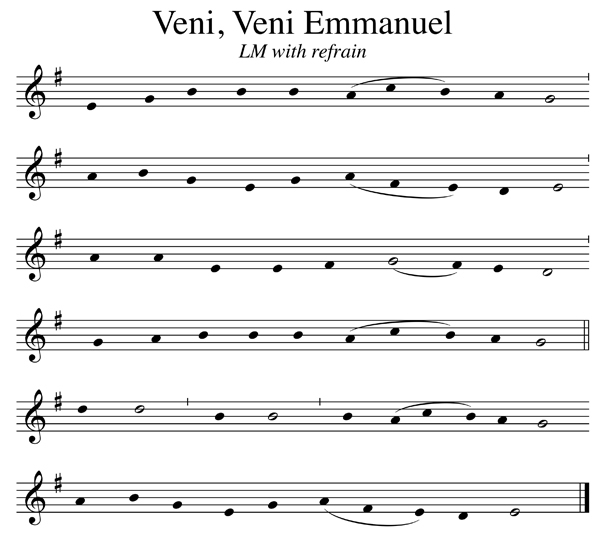 The tune ‘Veni, Veni Emmanuel’ was adapted by Thomas Helmore from a fifteenth century French Franciscan Processional. He first published it in The Hymnal Noted in 1854 with a translation by John Neale of the Latin hymn ‘Veni Emmanuel’. The text is a paraphrase of the O Antiphons sung at vespers during the seven days immediately before Christmas. Posted in Themes. Tagged Advent, chant, hymn, John Neale, Latin, O Antiphons, O Come O Come Emmanuel, Thomas Helmore, Veni Veni Emmanuel.